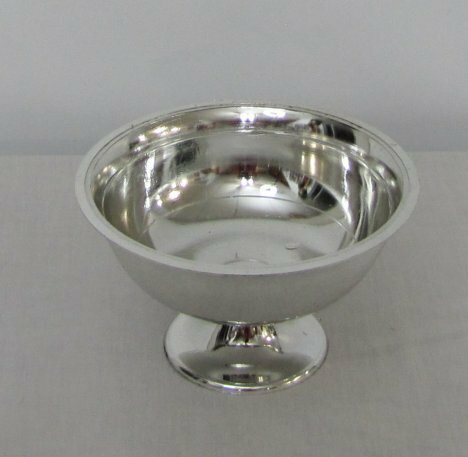 Florists use inexpensive containers like these to create wedding centerpieces, yet not have the price of expensive metalware. They are high impact plastic, can hold up to 1/2 standard brick of Oasis foam and inexpensive while being cheap to ship. 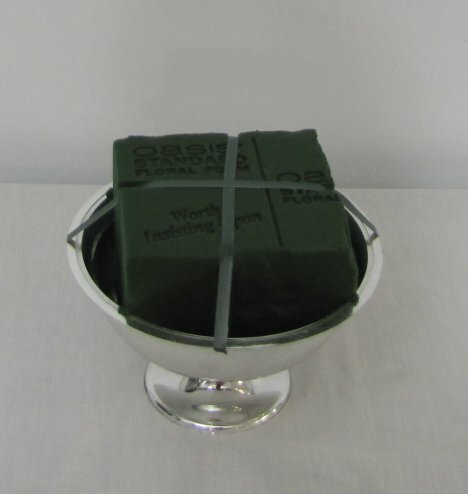 Always float soak your Oasis florist foam in water treated with a professional flower food. Do not push it under the water or you may create dry pockets that can mean a wilted flower later. 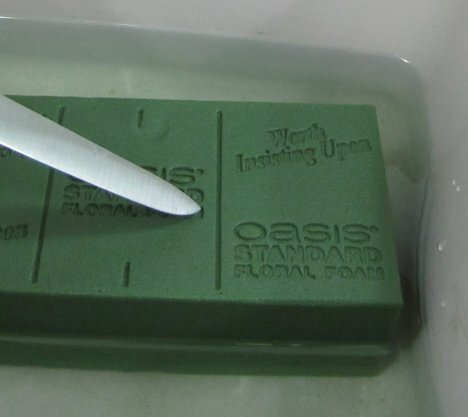 It only takes a short time for the Max-Life foam to fully absorb water and be ready to use. 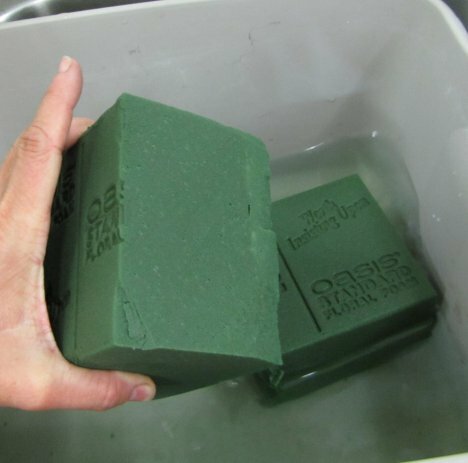 The bricks are scored for easy cutting into either halves or third bricks. For this design, I cut the brick in halves. 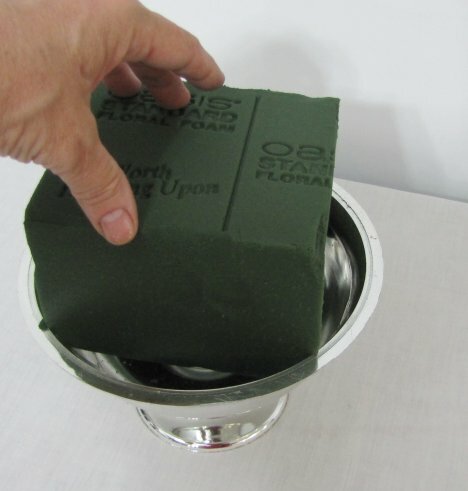 It's good to have as much foam as will fit into your container, because this is the life source of your fresh flowers. 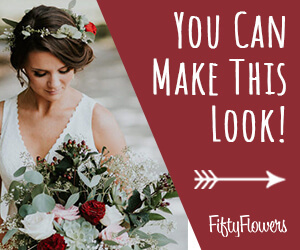 If you design ahead of time, be sure to check and add more water if needed right up to your wedding day. 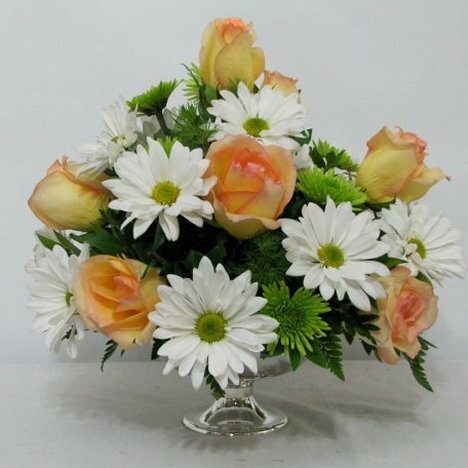 Flowers will surprise you on just how much they can drink each day. Push the brick down firmly into the bowl. 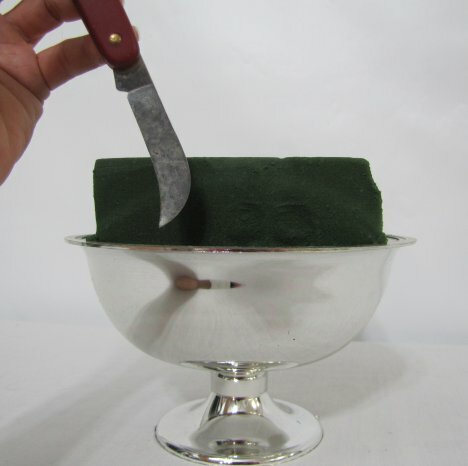 You can trim off excess with your floral knife if needed. Notice that I left quite a depth of foam that rises above the lip of the container. This is important for designing later, because you need to insert flowers from the sides as well as from the top. 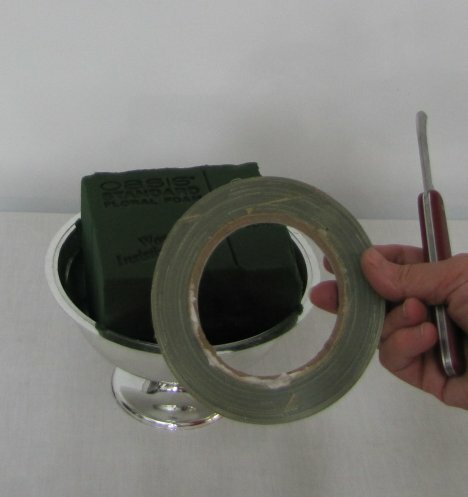 Before you begin adding the greenery, you will want to secure the florist foam into the container with waterproof tape. 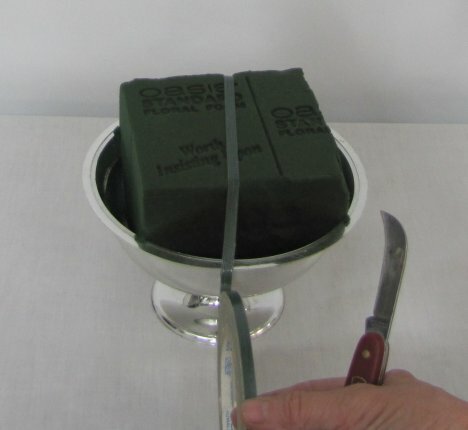 Dry your container and then pull the tape over the top of the foam and secure to both sides. 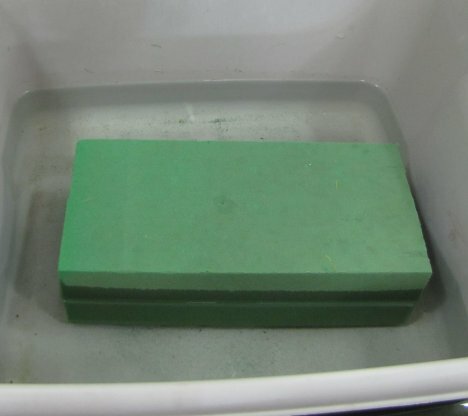 Do the same on the opposite sides until you have a bricked in container as shown below. As we move to the next steps, you'll find references to "covering your mechanics". In this centerpiece, that is both the florist foam and the tape. Concealing your mechanics is the mark of a good florist.